Most of us are very familiar with names like Bose, Sennheiser and Harman Kardon, as they are all practically household names around the globe and known for superior performance in the consumer electronics market. While these companies are still considered the measuring stick for quality in the audio equipment industry, other companies have started to gain more attention as of late. Klipsch is one of those companies, although they are hardly newcomers to the world of headphones, speakers and audio equipment. The founder, Paul Klipsch, built the very first Klipsch speaker in 1946 as a personal project for his home. Several years later he started the Klipsch Group and began manufacturing high-end speakers for sale to the general public. 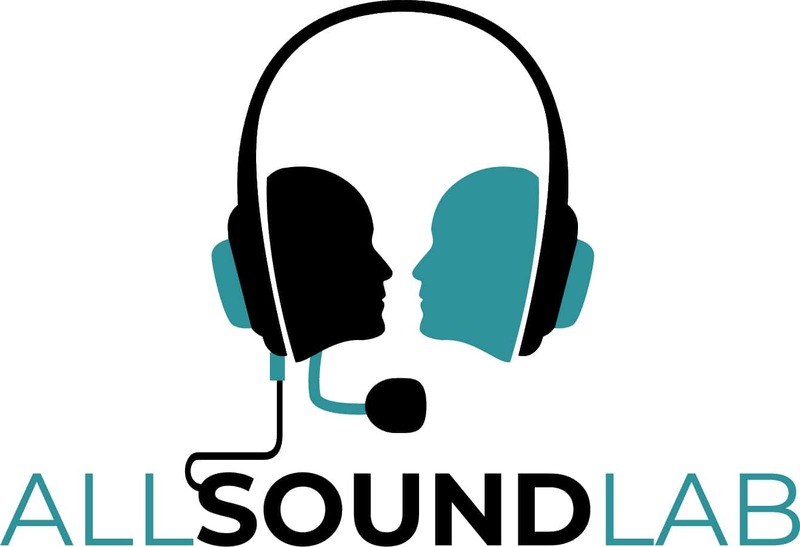 The company is well known to many audio professionals and industry experts but recently has once again started to capture the attention of consumers as well. In fact, Klipsch is the only company on the planet to have a speaker in constant production for over seventy years. While the company started from a small shed in Paul’s backyard, today, the company headquarters are located in Indianapolis with factory locations around the country and products sold all over the world. Klipsch long ago expanded its line of products from only speakers to a wide range of audio products including various accessories, electronic components and headphones. The Mode M40 is among their headphone models and offers consumers a high-quality audio experience with on-ear style headphones. The headphones were designed to provide control, comfort and a live music experience all in the comfort of your own home. Let’s find out if they measure up to all the company claims they are. Some companies fail miserably when it comes to offering a good customer experience from the moment you receive their product. However, this is an area where Klipsch gets it right. In fact, more right than almost any other manufacturer in the marketplace. The Mode M40 Headphones come packaged in a high-quality brown protective case with several compartments for storing other accessories. The storage compartments are lined with foam to help any sensitive components protected while you are traveling or on the go. The protective case also contains several very useful accessories for your Mode M40 Headphones. Included is a connection adapter for airplanes, a quarter-inch stereo connection adapter, a standard connection cable and a cable with an Apple controller with a three-button design. As a final touch, the headphones themselves come inside of a silk bag that is both stylish and practical for storing the headphones when you don’t require quite as much protection from possible damage. The design of the M40 is modern and ultra-stylish easily capturing the attention of the eye. 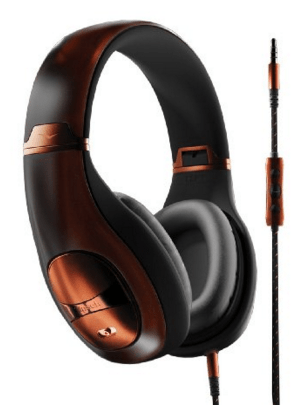 They come with a matte black base color and impressive dark colored copper accents throughout that clearly send a message the headphones are high-end yet refined. If you were going to buy a set of headphones based on appearance alone, you would be hard-pressed to find a nicer looking pair. The ear pads are constructed with memory foam and covered with genuine leather that is very soft and offers plenty of comfort even for the most sensitive ears. While some find certain models of on-ear headphones begin to feel heavy and even painful after long periods, the soft leather and memory foam will make this a non-issue for most users. If there is one complaint we have in the appearance and comfort department, it would be the lack of attention to the headband. The headband is made of a simple vinyl material with no covering or added padding for comfort. While this doesn’t present a big problem, some additional padding or memory foam would have been a nice addition for an even more comfortable fit. We did not find this aspect made the fit uncomfortable or irritating but there may be some users that might want to try them on before making an actual purchase if they think it could be a problem. Dual Drivers: Each ear-cup of the headphones contains dual drivers, a welcome upgrade from the single driver design that you get with most headphone models. With the Mode M40’s you get both a 40mm driver and a 15mm driver for higher frequencies and a driver crossover network that covers 20Hz-20kHz frequency response ranges. The high-frequency response is excellent and provides a very consistent listening experience. It does a nice job of providing accurate tones and deep, dry treble at its best. Bass Response: We found the bass response was significantly above average. While we would not rate it at excellent, it was very good for most of our listening sessions. Midrange Response: Midrange frequencies overall are decent but have a tendency to be a bit inconsistent at times. Performance in this area seemed very dependent on the genre of music that was playing and we experienced most of the issues with upper mids, along with some background voices being a bit muddy. Consistency: In spite of the minor issues mentioned above, the Mode M40 Headphones produce powerful and crisp audio that will satisfy most users. Some may not even notice the inconsistencies we did, although those with a more trained ear might. Noise Cancellation: As far as active noise canceling performance, these headphones are without question among the best in their category. The quality design provides a comfortable but snug fit around the ear which significantly reduces ambient noise passively. Once you activate the noise cancellation feature, you notice an immediate difference. These would be excellent for individuals who do a lot of flying where ambient noise can almost be deafening at times. Overall, the Mode M40 Headphones provide a powerful audio experience that can be appreciated by almost any user, trained ear or not. Even with some of the issues we mentioned, it’s clear these headphones belong in the high-performance headphone category and it’s easy to understand why many products made by Klipsch have a loyal following of customers. One of the best aspects of owning a pair of M40 headphones is the long lasting battery life for the active noise cancellation feature. In many independent tests (including Yours Truly), the battery lasted even longer than the forty-five hours that Klipsch claims. For a battery to actually last longer than a manufacturer claims does not happen every day and is very unique. Anyhow, the battery life is certainly impressive and makes owning a pair of M40 headphones low-maintenance. Here are some of the things I liked – and didn’t like – about the M40’s when I tested them out. Mode M40 Headphones are branded as high-performance noise canceling headphones that will change your entire audio experience by producing powerful and rich premium audio without the ambient noise. From our experiences, we can safely say all of that is true. In fact, you will probably be surprised at just how much you were missing out on with lower grade headphones or ear buds. These headphones are certainly not inexpensive so each user will have to make their own determination on how much value they offer. However, compared to other models on the market, the M40’s stack up nicely and exceed expectations in many categories. All in all, another good Klipsch headphone product which isn’t necessarily a surprise to me. You can check out the latest pricing here.